Size is deceiving on this adorable 3 bedroom/1 bath home! This home has been almost completely remodeled with only a few small things left to do. The seller had the entire house re-wired adding cable/tv hook-ups in every room. Everything that was replaced in the home, was done with style! The main floor features an eat in kitchen with oak cupboards, tiled floor and back splash, large living room with a projector screen (included), 3 bedrooms and a full bathroom. Basement was remodeled and features a very nice den/rec room with a beautiful bar, flip of the switch drop down projector screen/tv, and a bonus room where extra guests can stay. The best thing about this property is that it is located only a half a block away from the city park and has 220&apos; deep lot allowing lots of room for kids and/or pets to play. 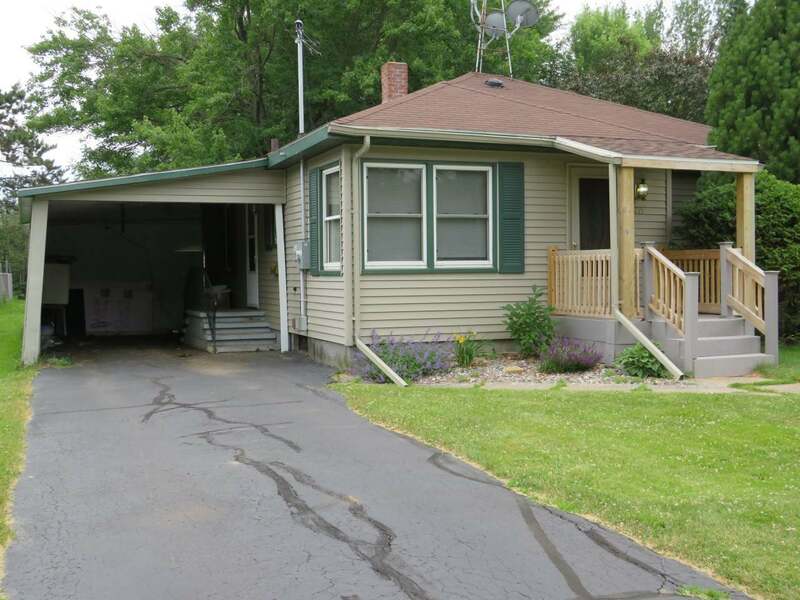 There is a carport instead of garage, but there would be plenty of room to add a garage down the road. Extra doors and trim that haven&apos;t been installed will be included.